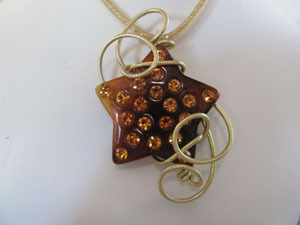 Amber colored acrylic star pendant inset with topaz colored rhinestones. Big and shiny! Measures 3.5"x2". Sculpted in gold-toned wire.